We recently added two great engineers into our team. The addition has already doubled our development speed for your benefit. This will help us to provide our users with the best possible service. Mikko is our new user experience designer and developer. He has taken part demanding software development projects while working with both international companies as well as some of the largest enterprises in Finland. To highlight just one of his project, Mikko was part of a team responsible for designing one of the most popular online real-estate services here in Finland. His versatile approach to development in terms of high quality engineering and burning enthusiasm in user-centered design makes him an invaluable asset to our team. No real picture of Mikko can be found around the internet. 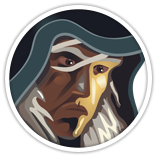 The only thing you can find is his avatar influenced by the infamous Raistlin Majere from the Dragonlance books. Tuomas is our fresh reinforcement on the customer-facing development of Meetin.gs. He has been a part-time entrepreneur since 2009 working on both 3D modeling and developing software for Android devices. Before joining our ranks Tuomas was working for a big Finnish software consulting company. 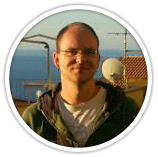 At that time Tuomas took part in various web development projects working on both back & front end. His extensive experience has given Tuomas the know-how and perspective to tackle challenging engineering problems. Tuomas is a gentleman, who spends his spare time making music, training his martial art ninja skills and waltzing with his lady. Tuomas and Mikko have proven their skills by delivering an updated version of our mobile site right in time for the The Slush 2013 conference. Now they are mainly focused on developing a completely redesigned version of our mobile apps. The new 2.0 version of the app has some huge improvements in terms of speed and usability as well as the overall user experience. I’m telling you, that will definitely be something to look forward to!